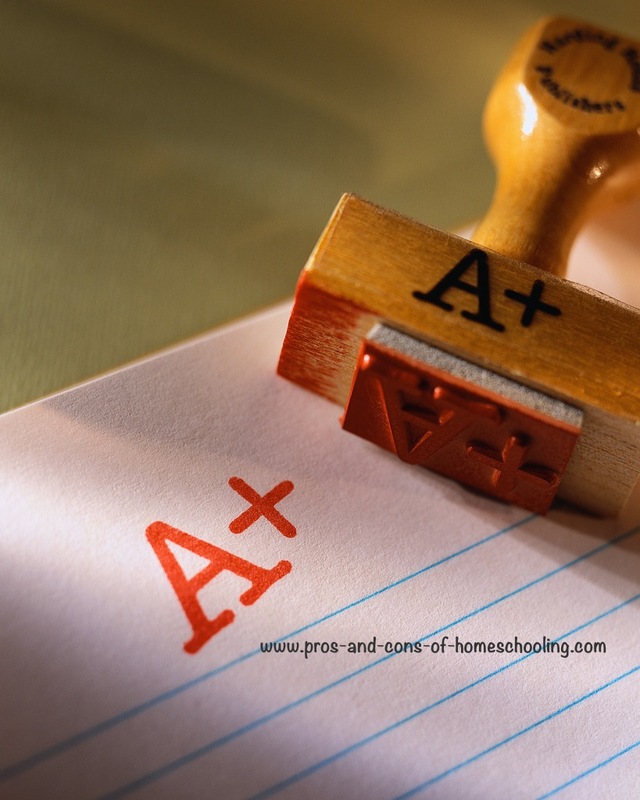 Understanding High School Homeschool Grades, GPAs, and Credits. BUT when I actually started putting all that information on paper, I began to get confused. Now, after 4 high school transcripts I've created for my teens, I have come up with some easy steps to calculating and understanding high school grades, GPAs, and credits. 1. A one credit course typically requires one school year to complete. A one-half credit academic course (such as American Government or perhapsEconomics) typically requires one semester or one-half year to complete. 2. One credit is approximately 120-180 hours of work. The upper end of this range (180 hours) is usually appropriate for lab science courses, while 150 hours is the average for a year long academic course such as English or History. 3. When evaluating credit for an academic course, a good rule of thumb is 50 minutes a day, 5 days a week for 36 weeks, for a one-credit course. 250 minutes of instruction per week for 1 semester. 85 minutes of instruction per class period for a block schedule. 70 minutes of instruction per class period for a trimester schedule. In general, “Academic” subjects such as English, Math, History, Science, Government, etc. are usually assigned (1 credit) per year. Non-academic” subjects or homeschool electives such as home economics, physical education, music, art, woodworking, etc. are usually assigned (.5 credit). If your child is enrolled in a course at a community college, you should keep in mind that a one-semester college course is comparable to a one-year high school course. Therefore, if your child takes English 101 for one semester at the community college and earns 3 college credits, this is comparable to satisfying a full-year, one-credit high school course. For example: If your teen is taking, Bible, Algebra 1, Biology, English, and Geography...They will receive (5 units) for the year. If he takes typing, web design, and music as electives...He will receive 1.5 credits more credits if it is a one semester class. Logging hours is a good method of determining credit for elective courses such as art, music, sewing, carpentry, web page design, etc. The lower end of the range (120 hours) is fine for elective courses. Note: All states required number of credits to graduate are different. So check your states laws for the number of credits your teen needs! Your Grade Point Average (GPA) is the average grade earned, figured by dividing the grade points earned by the number of credits earned. Each class should have a grade (A, B, C, D, F) earned. At the bottom of my homeschool high school transcript, I put my grading scale. Grade points are also known as quality points, and they are a numerical way to describe how well your teen did in class. Each letter grade your teen receives has a numerical equivalent: A=4, B=3, C=2, and so forth. Each grade has a number assigned to it. A = 4.00 B = 3.00 C = 2.00 D = 1.00 and F is 0. If your teen is taking honors, AP (advanced placement), or college-level classes, the quality points assigned are usually weighted. This means they have an extra half or whole grade point added, so that ‘A’ equals 4.5 for an honors class, or 5 for a college-level or AP class. Still confused? Download this excellent Explanation of Understanding GPA. Add up the grade points earned. Divide the grade points earned by the number of credits earned. This total is your GPA for the Term or one year of school. After all of the four years are completed..add up all of the GPA's and divide by 4. The number is the total GPA. Write this score at the bottom of the highschool transcript. NOW...Are you ready to make your own high school homeschool transcript? It really is not as difficult as it sounds to make highschool transcripts!! Believe me! I have ten children and not a lot of time, BUT, because I have accurate homeschool recording keeping, it is not as hard to put their grades in their transcripts! 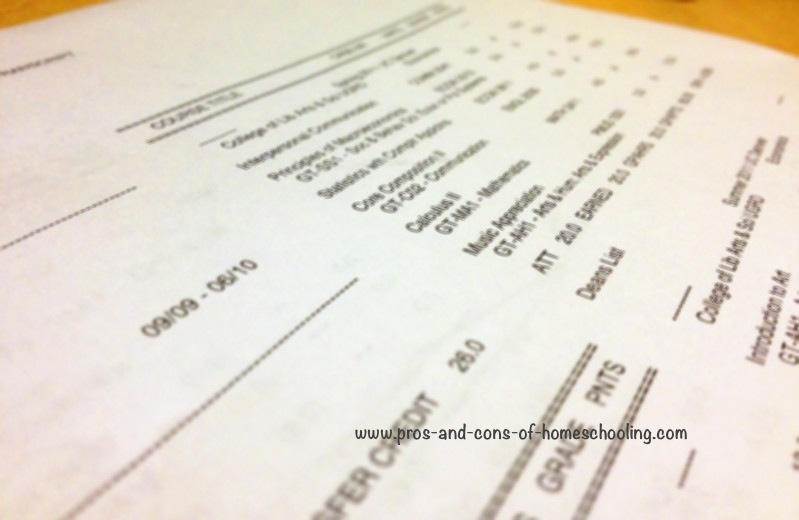 Download your Free Homeschool High School Transcript.